A Japanese live action movie or series of Yoshihiro Togashi's masterpiece, Yu Yu Hakusho seems to be 100% badass. This video with Live Toguro brothers circulated recently and it gave some fans an impression that the 90's anime hit will make an awesome comeback. Of course, who could blame these guys if they keep craving for a taste of Togashi's work after the mangaka's other hit series Hunter x Hunter went into an indefinite hiatus for the nth time. However, this video is actually a commercial for the smartphone game Monster Strike. As part of the crossover, Yu Yu Hakusho's Toguro brothers is promoting the mobile app while announcing their collaboration with the said game. The famous Japanese comedian Naoki Matayoshi appears as the Elder Toguro. He is carried by the younger brother who is busy playing the game. Elder Toguro then announces Yu Yu Hakusho's participation and revealed that "he is not in it". He expresses his grief and longing to be part of this new smartphone app. Matayoshi's portrayal earned praises from many fans saying that he fits the role perfectly. 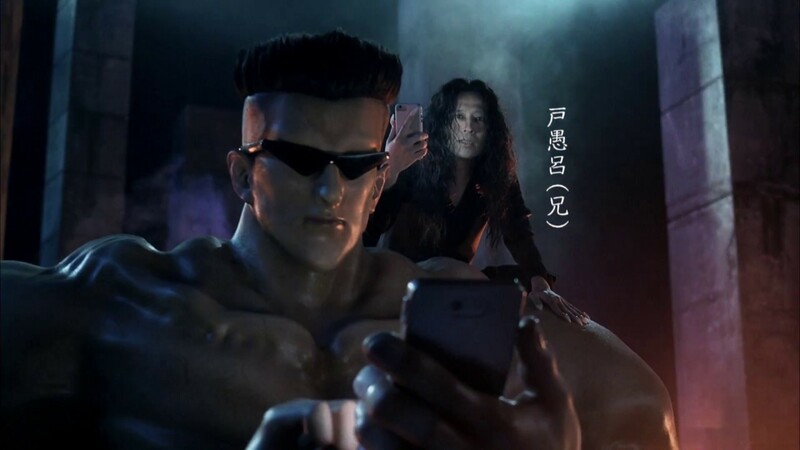 Many said that he should play as the Elder Toguro shall the producers decided to launch a real live action series or movie of Yu Yu Hakusho. Another comedian, Oniyakko Tsubaki appeared in another 50-second commercial of Monster Strike. She comes in as Toguro's elder sister and plays the game with her brothers. Onee-chan later gets mad at the younger sibling for the disinterest. The video ended with Elder Toguro reminding his sister than their younger sibling has always been like that. A small part of the song, Hohoemi no Bakudan can be heard playing in the background while the animated images of the protagonists are being shown. Monster Strike uses a life-size statue of Younger Toguro on its promotions. People could climb on it just like what Tsubai and Matayoshi do as shown in the commercials.